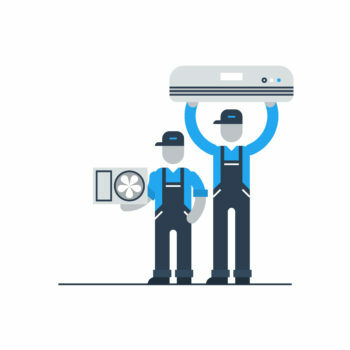 Compared to a conventional central heating and air system with all its ducts and registers, ductless mini-split installation is relatively simple. You need fewer parts and specialized tools. The components are generally lighter and easier to handle. Plus, you only have to optimize performance in one room as opposed to many. But, that doesn't mean there aren't important considerations to keep in mind. What interior zone requires targeted heating and cooling? Does the zone have an exterior wall nearby? If there is no exterior wall in the zone, which wall is closest to the outside of the house? Can the exterior environment adjacent to the targeted zone accommodate a mini-split condenser? For example, suppose you want to deliver extra cooling power to the master bedroom. The master bedroom is located on the northeast corner of the house, and outside the north and east wall is ample yard space. In this example, you could mount the interior system on either the north or east wall to correspond with the exterior ductless mini-split installation location. 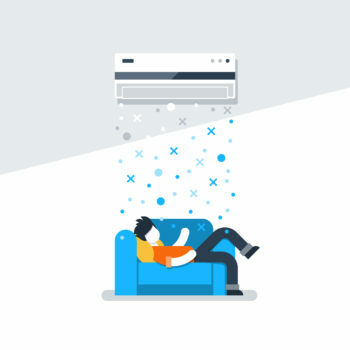 If the room you wanted to cool doesn't have an exterior wall, you'll need to run the coolant tubes and wiring through an attic or crawl space to connect the interior and exterior halves. This shouldn't be a problem, since most mini-split manufacturers include plenty of material to deal with such problems. Most ductless air handlers use a drain hose to remove condensate from the interior air handler. This is absolutely essential, since all heat pumps and air conditioners generate significant water byproduct. You don't want that water running down your inside walls. Which means ensuring the condensate hose is always angled down is critical. Be certain that the ductless mini-split installation site you choose will allow water to flow smoothly out of your home. Suppose you want to put the air handler in a location where it would be difficult or impossible to run a drain hose down and outside. The solution is a condensate pump. Many mini-split units can accommodate these. They pump the water out, so it doesn't ruin your interior. An outside ductless condenser is designed to weather the elements, but you can't just plop it out onto the ground. It needs to be properly placed on a base pad or wall mount. A base pad is a cost effective and simple solution. You can buy a durable plastic pad or pour a simple concrete slab. Many homeowners opt for this, since it's very straightforward. In some ductless mini-split installations, it may be desirable to use a wall mount either near to the ground or further up on an exterior wall. Make sure you buy a bracket strong enough to support the weight of your condenser. Don't guess! The last thing you want to see is a condenser falling off the side of your home. Do You Have More Questions or Comments? Ask us here, on Facebook, or on Twitter! On these diy units, how are they powered? Can they just be plugged into wall outlet? Or do they have to be hard wired? The ductless MrCool DIY does need to be hard wired. 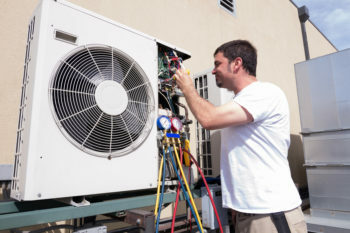 The outside condenser should be wired to a disconnect box. 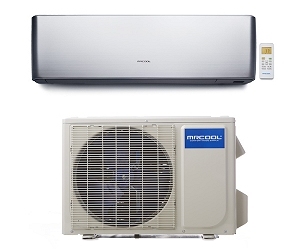 The MrCool Hyper Heat ductless mini-split offers a few different options when draining the condensation. 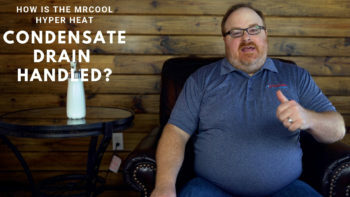 What Are Ductless Mini-Split Air Conditioners? 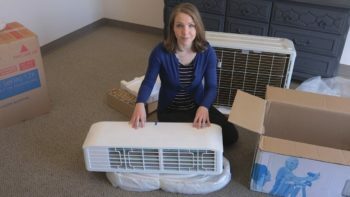 Ductless mini-split heat pumps and air conditioners are becoming increasingly popular across the country. But, just what the heck are these things?